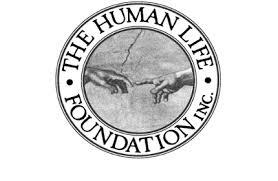 HumanLifeMatters: What gives life value? Below is the text of an email to a utilitarian bioethicist. To: Arthur Caplan, Ph.D., Chair of the Department of Medical Ethics and the Director of the Center for Bioethics at the University of Pennsylvania in Philadelphia. Dear Dr. Caplan: We have communicated before, primarily about the Schiavo case. [Caplan advocated Terri Schiavo's death. I advocated for her to live.] 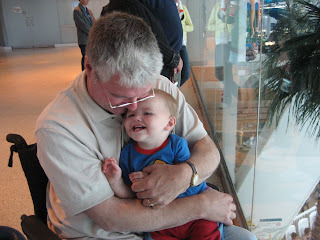 I want to share a photograph of my youngest grandson and me to illustrate a point: What ultimately gives life quality is not physical function. In my case I am incurably ill and disabled (triplegic) from multiple sclerosis. My life has quality because of love. Moments like this are amongst my happiest. This was a critical point I want to help you not to overlook because you missed it with the Terri Schiavo case. Terri's estranged husband was clearly in a conflict of interest with Terri. Michael Schiavo was living with another woman and started a family with her. He had every reason to want his disabled wife out of the picture. She was clearly a burden to his new life. We had no way of knowing what Terri wanted, she left no written directive, we only had hearsay testimony of her husband that she wanted to die. Yet Terri Schiavo had every reason to live. She was dearly loved by her parents, her brother and sister (I know, they are personal friends of mine). They wanted to take Terri into their embrace and care for her. It was people like you, and other academics, her estranged husband as well as Florida's courts (George Greer in particular) who advocated her death, under the most flimsy assertions she would not want to live in her disabled condition. So what! I do not want to live in my disabled state of advanced MS either, ... but it doesn't mean I'm better off dead. As you can plainly see from the photograph, I am loved. Perhaps if I was not loved or felt I was a burden on loved-ones, I would want to die. But the response of a civilized society should not be to assist my suicide, rather help me seek life with dignity instead of so-called "death with dignity." Dying with dignity is not achieved by offering poison to a person who has sunk beneath the waves of depression or circumstances. Dying with dignity is the end result of having lived with dignity. Even a stupid man like me knows that. Love is the final arbiter of life's dignity and value, not physical or mental capacity. I want to help you not to overlook or miss this critically important point.